Someone working on a resume. Photo courtesy of Shutterstock. 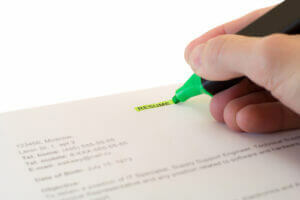 A CV is nothing more than a type of resume that outlines an individual’s education and work history. However, writing a good CV while attending college or just graduating is very important, as this will be your representation to potential employers. When writing resumes for recent college graduate jobs, candidates should keep in mind that potential employers don’t want their time wasted. 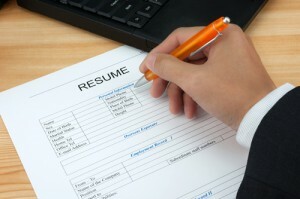 The following post features an infographic with 10 things not to include in a resume. Someone filling out a resume. Photo courtesy of Shutterstock. You probably have an idea of what to include in your professional resume—job highlights, academic accomplishments, relevant skills, and more, depending on your field. But as you’re writing it up, are you thinking about what not to put on your resume? And making sure you avoid those things?